A majority of the karting companies in the United States market have been created on the basis of need, either personal necessity or demand from the community itself. During the early days of the sport, we needed equipment and complete karts were manufactured here in the US, and this included engines and all of the necessary parts. Today, many of the core-industry products such as chassis, engines and tires come from overseas. That said, one truth that has remained through the decades is the creativeness of American engineers and karting consumers are lucky to have many operations that continue to produce domestic karting components, keeping the ‘Made In The USA’ stamp front and center. While a strong domestic chassis manufacturing platform still exists, and is in fact growing, there are many karts running here in the United States, foreign and domestic built, that utilize products manufactured here in America and many of them carry the Precision Karting Technologies logo. 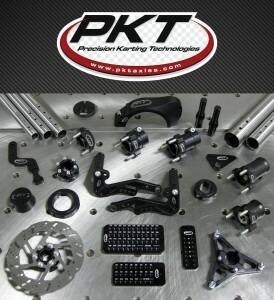 Precision Karting Technologies (PKTaxles.com) was created in 2002 by Kim Watzke. Kim was originally set up as a KRT chassis dealer, working directly with High-Rev Engineering in California. 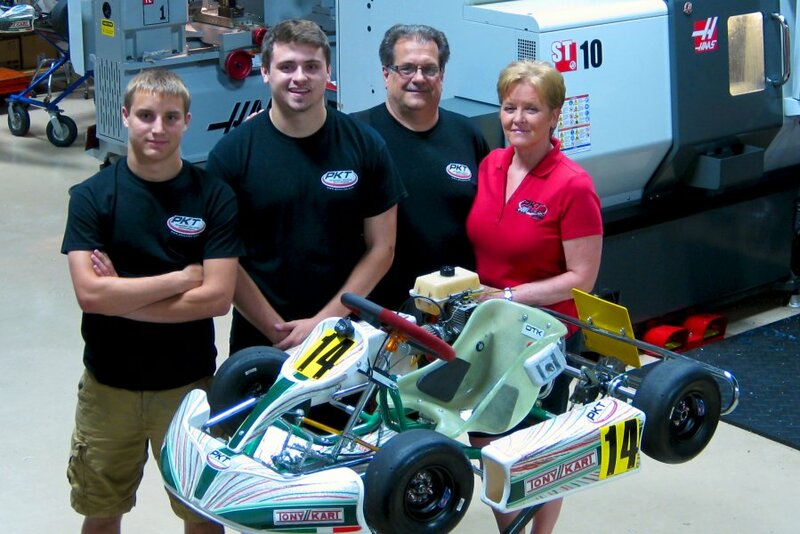 The main goal for PKT at the time was to provide trackside support at eastern Michigan karting events, which included dealership programs for AiM, Streeter, MG Tires and other top products. Kim’s son Alex was involved in Kid Karting at East Lansing Kart Track during that period and one of Kim’s problems was finding the axles that he wanted to use to tune their Kid Kart. In 2004, Kim took this challenge upon himself and they began to design and manufacture the original PKT Axle (25-915-A2) for Kid Karts. The company expanded further in 2007, becoming a certified Rotax Service Center. That deal helped to grow the PKT product line as a number of aftermarket parts and tools aimed at the Rotax program were developed through current customers and through the experiences of the PKT operation at the track. PKT products can be found nearly anywhere in the United States, along with Canada, Mexico, and Latin America. 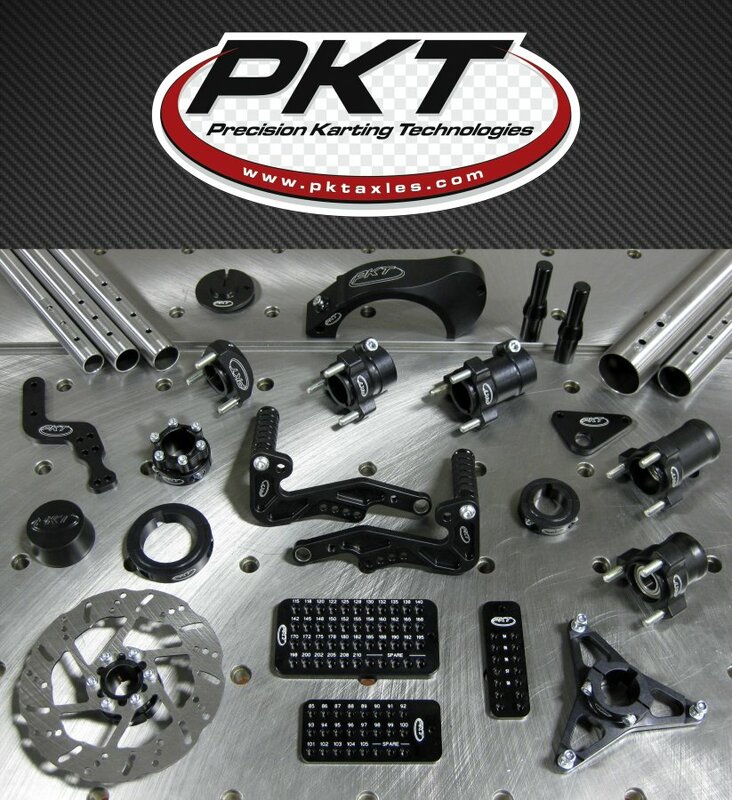 Nearly 60 dealers have been set up to stock the many PKT products that are manufactured for the karting industry. Development continues with every passing day, as the PKT group, its official drivers and the many dealers work together to form new concepts and ideas for the growing product line. Earlier this year, the new PKT Sprocket Carrier was released for Kid Kart and Cadet racers. These lightweight and durable carriers are available in a three-spoke configuration for 25mm Kid Kart axles, with three or six-spoke options on 30mm axles. The PKT Frame Table is one of the latest products that Watzke has designed and developed. Another successful product that is gaining rave reviews on the track is the PKT OTK Sniper Adaptor Kit. This bolt-on system provides the ability to fit the top-line linear front-end adjustment package onto all OTK chassis models. Official PKT driver Anthony Gangi Jr. has been winning with the kit on his Tony Kart chassis this year in the USPKS and Rotax competition, helping to show off its tuning improvements. In addition to components for the kart itself, PKT manufactures a number of tools for kart-specific needs. An assortment of tools for axles, Comer, Rotax, and other unique applications are available from PKT and they’re already in many toolboxes across the country. PKT and its staff love the sport and are passionate on growing it. They enjoy watching the progression made by the customers who utilize their many products, as it is their goal to continue to improve much like every racer. The high level of customer service they provide is their way of showing appreciation to their customers for their loyal support. 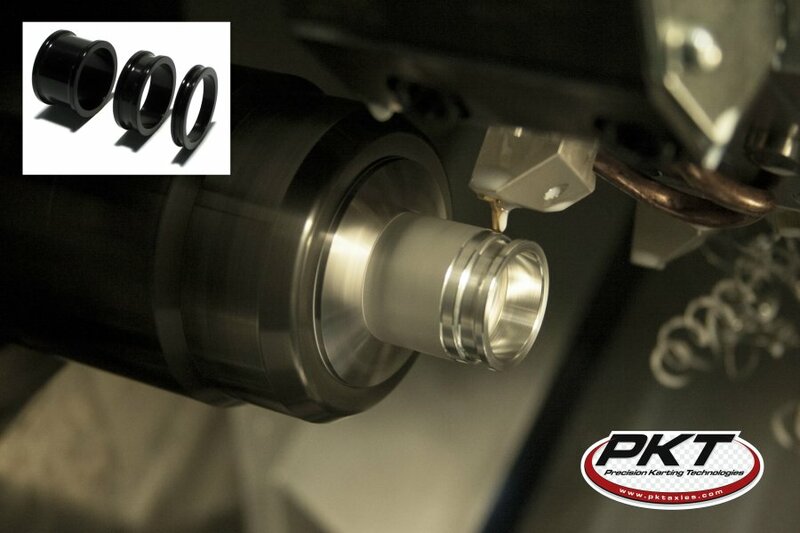 Innovation and quality continue to be the benchmark for the work produced by Precision Karting Technologies.